Not surprisingly,EverCrane for iPad, developed byablecomputer inc., is another outstanding productivity app. 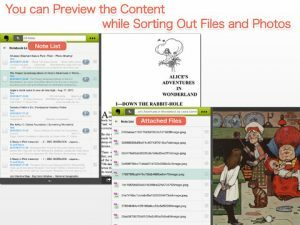 You may recall that we recently reviewed another ablecomputer inc. app just days ago: BoxCrane, a Dropbox management tool. 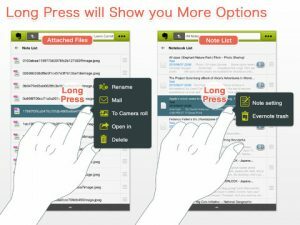 BoxCrane scored 9/10, thanks to its smart design, ability to easily compress files, handy controls, and great functionality. 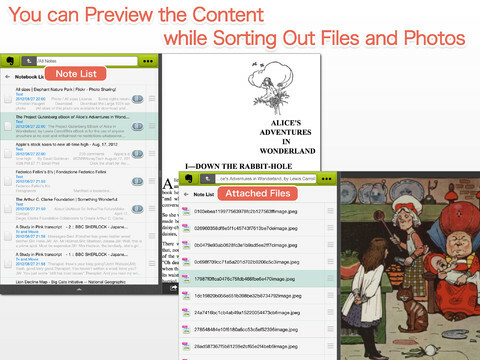 In a similar fashion, EverCrane aims to make using Evernote even easier. So, how does EverCrane for iPad fare when placed under close scrutiny? Just like BoxCrane, EverCrane takes a great service and makes it even easier to use. EverCrane has been elegantly and intuitively designed, and features the same, simple drag ‘n drop controls as its Dropbox-oriented cousin. Moving notes from one notebook to another has never felt simpler. EverCrane is an iPad app that operates using just a handful of gestures. In addition to drap ‘n drop, you can just tap on a note to see a preview of the text. 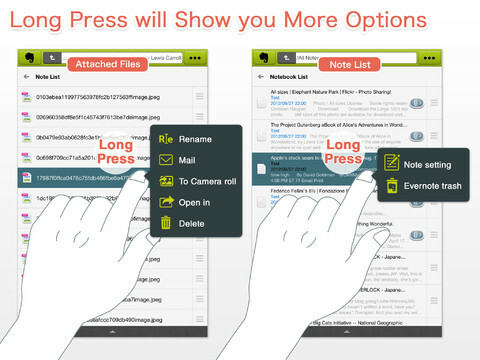 The other main gesture is the “long press,” which allows you to bring up a menu where you can select “edit” or “trash” for the note you are pressing on. 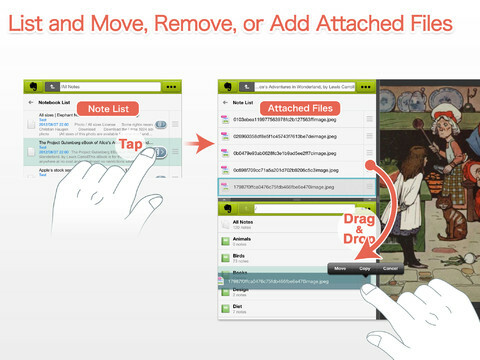 You can move, copy, and delete files attached to notes, and adding a photo to your notes is also a very simple process. In short, EverCrane has struck a pretty decent balance between form and functionality. 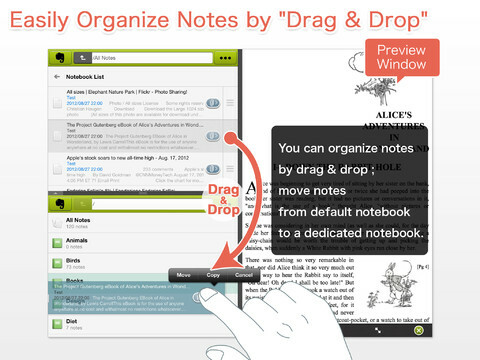 The app is easy on the eyes, easy on your fingers, and easy on your overwhelmed brain. If you’re an Evernote junkie who is in dire need of a functional, intuitive solution for managing your notes, ablecomputer’s Evercrane for iPad is pretty hard to top. True, you do have to shell out five bucks, but EverCrane for iPad is absolutely worth every penny. 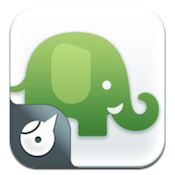 Bottom line: if you have five bucks and an Evernote account, you really need to buy EverCrane for iPad. EverCrane for iPadis compatible with iPad. Requires iOS 5.0 or later. A small expedite fee was paid by the developer to speed up the publication of this iPad app review.